The mere mention of Bali evokes thoughts of a paradise. It’s more than a place; it’s a mood, an aspiration, a tropical state of mind. 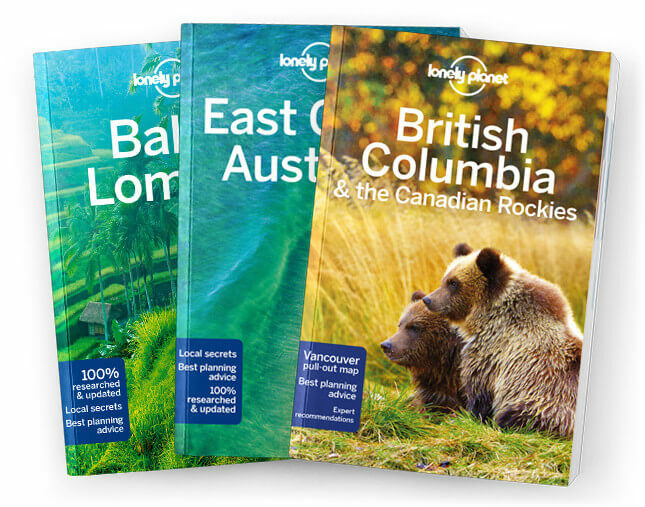 Lonely Planet will get you to the heart of Bali & Lombok, with amazing travel experiences and the best planning advice. Lonely Planet Bali & Lombok is your passport to the most relevant, up-to-date advice on what to see and skip, and what hidden discoveries await you. Stand amongst the clouds on Gunung Rinjani, party all-night in Kuta, or experience the Gili Islands’ phenomenal diving scene; all with your trusted travel companion. Get to the heart of Bali & Lombok and begin your journey now! Cultural insights give you a richer, more rewarding travel experience - art, architecture, beaches, festivals, cuisine, water sports and outdoor adventures, history, dance, music, painting, environment, politics.